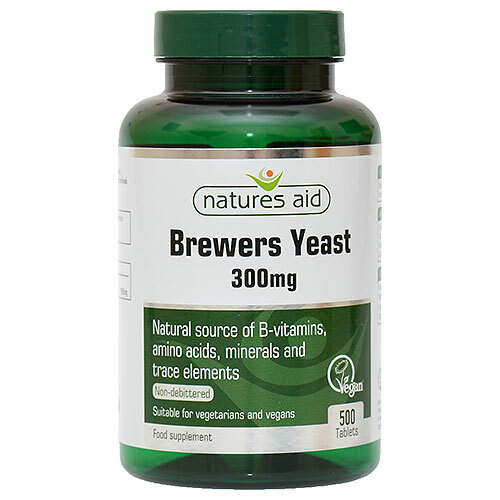 Natures Aid Bewers Yeast tablets are manufactured using non-debittered Brewers Yeast powder, preserving the natural levels of B-vitamins. Saccharomyces Cerevisiae (Brewers Yeast Powder) (may contain traces of Gluten). Below are reviews of Natures Aid Brewers Yeast - 500 x 300mg Tablets by bodykind customers. If you have tried this product we'd love to hear what you think so please leave a review. Very good. Cat likes these as treats, also helps to keep her flea free.